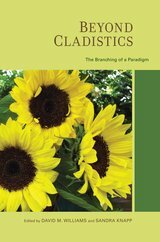 Cladistics, or phylogenetic systematics—an approach to discovering, unraveling, and testing hypotheses of evolutionary history—took hold during a turbulent and acrimonious time in the history of systematics. During this period—the 1960s and 1970s—much of the foundation of modern systematic methodology was established as cladistic approaches became widely accepted. Virtually complete by the end of the 1980s, the wide perception has been that little has changed. This volume vividly illustrates that cladistic methodologies have continued to be developed, improved upon, and effectively used in ever widening analytically imaginative ways. David M. Williams and Sandra Knapp are both in the Botany Department at the Natural History Museum of London.